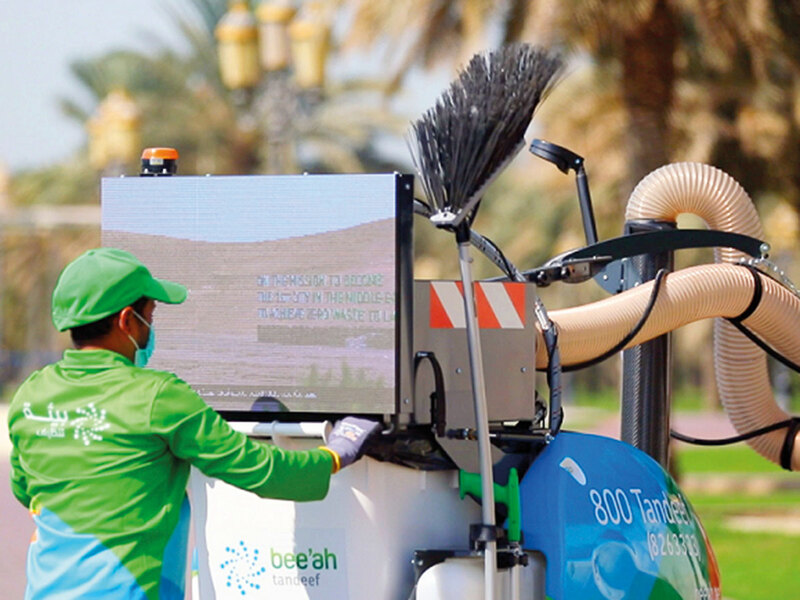 Sharjah: Tandeef, the city cleaning arm of Bee’ah, has introduced the first autonomous electric driven vacuum machine for street cleaning in the region. The move is part of the company’s expansion of its comprehensive, next-generation waste collection fleet. Bee’ah has introduced innovations in green vehicular technology and expanded its fleet of 1,200 vehicles. The new electric sweeper compliments the advanced fleet, which includes eco-friendly, AI integrated vehicles that follow an optimal route management system. The autonomous litter vacuum cleaner, with its innovative recognition and navigation system, leapfrogs existing self-propelled urban vacuum cleaners in efficiency, speed and effectiveness. The autonomous system can be trained to recognise and automatically follow the operator along the day, during the cleaning tasks around the city; literally freeing the operator to focus on cleaning, the main task at hand, without interruptions. Earlier this year, Bee’ah had also become the first company in the Middle East to place an order for Tesla’s revolutionary semi trucks.